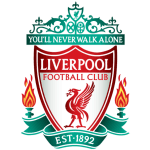 FC Porto vs Liverpool predictions for Wednesday’s Champions League clash in Portugal. Porto look for an unlikely turnaround in the Champions League quarter final when they face Liverpool on Wednesday. Read on for all our free predictions and betting tips. 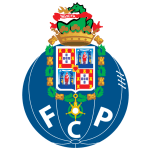 This season Porto have lost twice in the Champions League, both times away from home and both in the knockout stages. The first was against Roma back in February, but they overturned that 2-1 deficit on home soil in extra time. Prior to that they had drawn one and won five of their group stage games. This result certainly isn’t beyond the realms of possibility. In fact, Liverpool have only won four of their last nine away matches in all competitions, drawing three times in the process. Porto, meanwhile, have only lost one of their last 22 competitive matches at home. Given the balance of the tie and Liverpool’s congested looking fixture list, we think backing a Porto Win or Draw Double Chance is a great option here along with a 1-1 correct score prediction.